We have brought forward the start date due to overwhelming interest!! Everyone is now welcome to participate in the crowdsale! Receive a 40% Bonus + a further 25% Price Discount off ALL token purchases NOW! We just released our NEW Bounty Program! 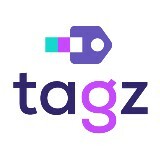 Be part of the Bounty and start claiming your Free TAGZ Tokens. A total of 500,000 TAGZ are up for grabs! #TAGZ has been given a great score rating on #ICOBench! Don’t delay in registering on our website today by clicking here so you can contribute to our #ICO. TAGZ ICO will be held May20 — June 30 and will span 4 seed rounds.